Hey again, another New Holland item coming up! 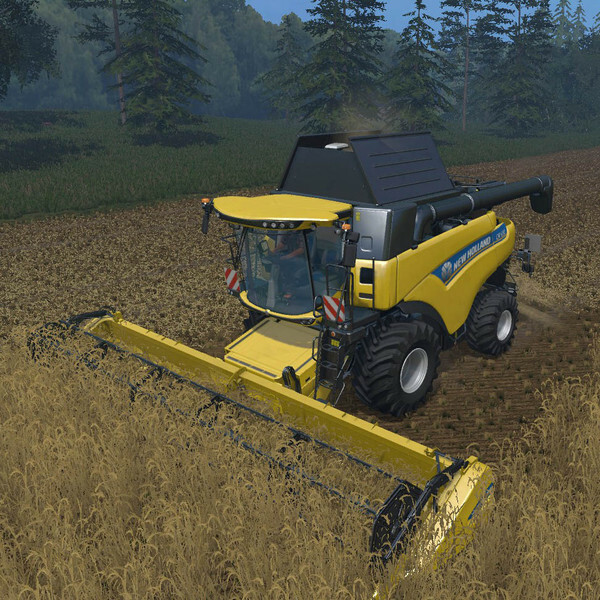 This time it’s thye New Holland CR 6.90. NOTE: this is an early BETA version, there is quite a few graphical issues with this vehicle that needs to be sorted out, mainly the grain bunker needs to be fixed (new models for the doors if I can manage that, re-fit all hydraulic parts and tweak the animation). No new features, but all standard features such as folding/unfolding, dirt is still working. So what have I done? I’ve used the CR 10.90, but shortened its rear end and grain bunker, reshaped exhaust pipe, replaced the doubble fan with a single fan and another thousand minor tweaks.